Jack at Dry Ridge Shooting Gallery in the Cabela's Store Reno, NV. WOW! The Rush show in Reno was amazing! Here's a live Rush video clip I shot with my camphone. How was the show? Rush was tight. Getty Lee's voice was better than ever and his Fender Guitar bass riffs were moving. The talented Niel Pert was incredible on drums and received a standing ovation from the packed house for his drum solo. The guitar work from Alex Lifeson was impeccable, I hung on every note, a near perfect performance! Do Not Miss Rush this year! If your thinking about seeing Rush this summer clear the calender, buy a Rush ticket and GO, On your way out after the show, I bet you can't help but say the word WOW!!! 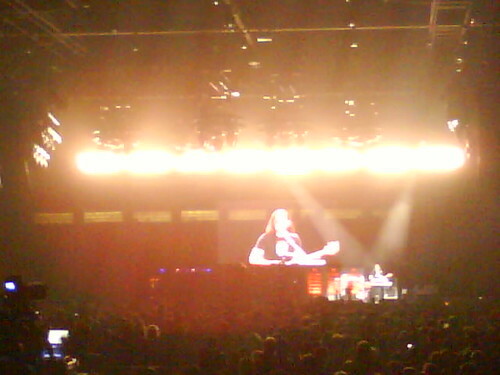 Rush in Reno, originally uploaded by GoWithTheFlowski.